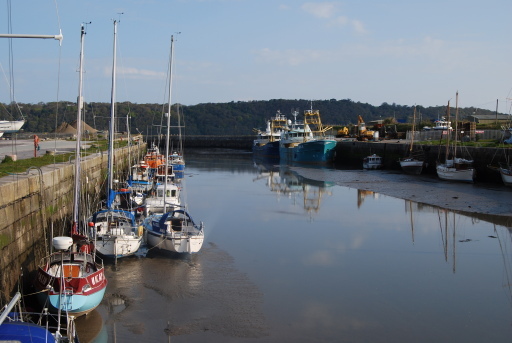 As the tide dictated an early start, we arrived the night before in Bangor. 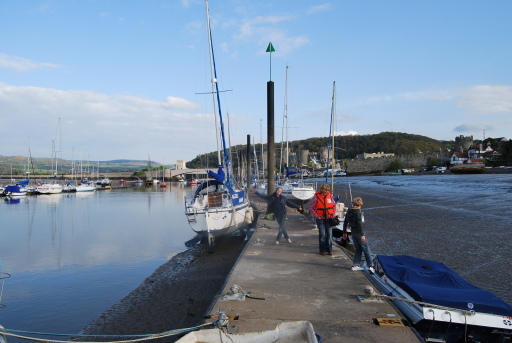 The plan was we would leave the car, Dave, the previous owner, would sail with us to Conwy, where his wife would pick us up to bring us back to the car in Bangor. Dave was kind enough to bring the radar and VHF set up the night before. 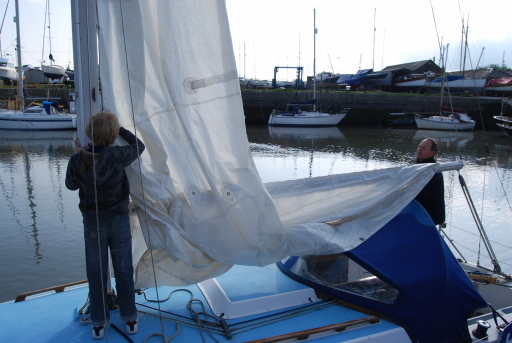 The next morning was used to hoist the sails and familiarize ourselves with all the lines. 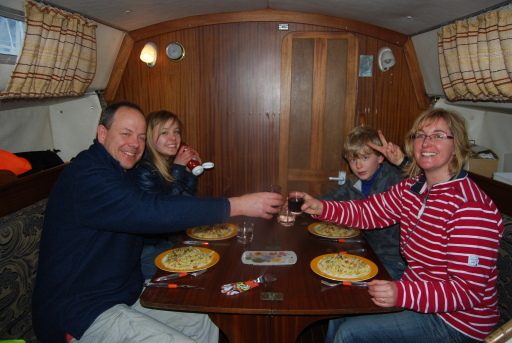 When Dave arrived we went through the start up routine of the inboard diesel. 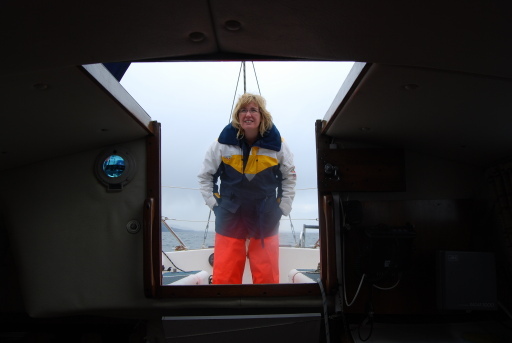 We took a small detour toward Hazel Anne's mooring buoy in the Straits. Next we motored past Beaumaris towards Puffin Island. 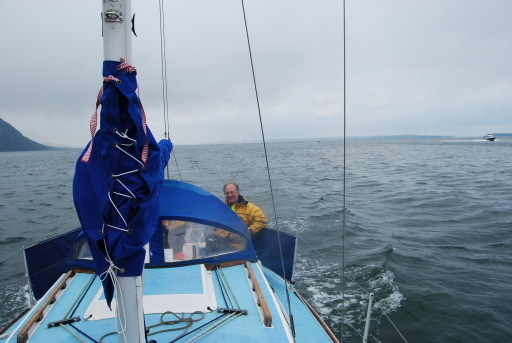 At the B6 buoy, one can cross into the Penmaen Swatch, which is a narrow channel, after an initial hop over a sand bank (-0.7m). This provides a short cut toward the Conwy fairway buoy. At 11:30 we did put up the sails and killed the motor, but 10 minutes later we required carbon assistance as there was hardly any wind. It was therefore a straight motor all 16 Nm to Conwy. We arrived at 13:45 on the pontoon. Dave and his wife took me to our car in Bangor and after a short drive back we celebrated our new boat's arrival on the pontoon.